In signing the ITER Agreement in 2006, the seven ITER Members were agreeing not only to share in the costs of constructing and operating the ITER facility, but also to share any intellectual property flowing from the execution of the Agreement. The first rule of thumb among the Domestic Agencies and the ITER Organization is the widest possible dissemination of intellectual property generated in the course of ITER activities. At the annual Intellectual Property Contact Person Meeting (here, from 29 to 30 November) details and issues are discussed among specialists. Intellectual property, in the context of ITER, can be understood as the development of industrial knowhow and processes, technological solutions, inventions, and of course all experimental results. 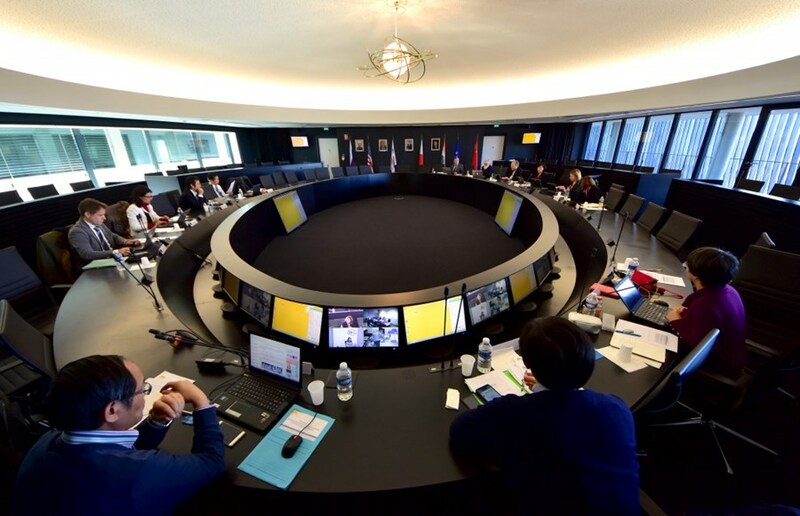 As a basic principle, the ITER Organization and the seven Members support the widest appropriate dissemination of intellectual property generated in the course of activities for ITER. For this, provisions are included in contracts signed for ITER work that detail—among other things—the rights of access to intellectual property. An important distinction is made between background intellectual property, which has been acquired or developed before the entry into force of the ITER Agreement, and generated intellectual property that is acquired or produced in the course of activities related to ITER; depending on the category, the access regime and obligations can be very different. Intellectual property can be generated under contract, Task Agreement or Procurement Arrangement, or by ITER Organization staff. The legal framework for the management of ITER intellectual property is set out in the ITER Agreement (Article 10) and its Annex on Information and Intellectual Property. Further detail is provided in the Rules on Intellectual Property Management and the Dissemination of Information (adopted by the ITER Council) and by internal procedures put in place for the implementation of these Rules. According to the terms of the ITER Agreement and its related Annex (see text box), background or generated intellectual property is shared by way of license agreements or commercial arrangements. Between Members—and in the scope of publically sponsored fusion R&D—these would be non-exclusive, irrevocable, royalty-free licenses. One of the key project-wide management tools for intellectual property is the intellectual property database, which centralizes background declarations, generated intellectual property declarations, publications, and licenses. The database is the tool by which Domestic Agencies and contractors declare intellectual property, thereby making it available to other Domestic Agencies. Recording intellectual property data opens the way to the possibility of licensing agreements between the ITER Organization and Domestic Agencies or between the agencies themselves. As the project progresses, increasing amounts of records are expected. Since 2009, specialists designated by each Domestic Agency have joined ITER experts annually at the Intellectual Property Contact Person Meeting to discuss the dissemination of project-related intellectual property. At the latest meeting, which took place at ITER Headquarters from 29 to 30 November, the focus was on the status of the intellectual property database, publications, and progress reports from each Member.